I noticed that you is expanding the business recently. I noticed you have been expanding the business recently. With four years experience, I would like to promote to a higher level. With four years experience, I would like to be promoted to a higher level. It can be challenging to find your own mistakes in writing. The mistakes above are covered in Steps 7 and 10 in Writing in English – High Beginning+, an online, interactive program that helps you write clear, concise, and correct English. Writing in English – High Beginning+, helps you keep track of mistakes you make in the program with a tool called your “Common Errors List,” which lets us save your mistakes and the corrections. 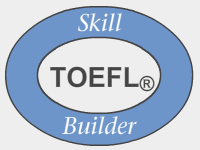 This entry was posted on April 17, 2012 at 8:16 pm	and is filed under Blogroll, Partners, Products, TOEIC Tip, Uncategorized, writing. Tagged: AmEnglish.com, common writing mistakes, grammar and syntax, TOEFL, TOEIC, writing in English, Writing in English from AmEnglish.com. You can follow any responses to this entry through the RSS 2.0 feed. You can leave a response, or trackback from your own site.